The Houston GPS team will be there. Let us know if you are coming! The Board must approve the amended resolution, which includes the completed list of polling locations, for a runoff election on December 9, 2017 in districts I and III. Robert Frost ES identified a need for more parking spaces. A Status Construction was picked to be the contractor for this parking lot project. The Board must authorize the superintendent to negotiate, execute, and amend a construction with A Status Construction for the new parking lot project. The Board previously approved $13.5 million to be allocated to additional facility projects throughout the district for a total of $121.5 million. Since then, many of these projects have been completed, resulting in cost savings that can be allocated to address other needs in the district. Trustee Skillern-Jones is requesting a budget allocation of $74,886 for capital-related improvements for Kashmere HS, North Forest HS, and Wheatley HS. The Board needs to approve the establishment of budgets and execution of the necessary contracts for improvements at various campuses. The facility assessments that have been conducted since Hurricane Harvey recommends the reconstruction of Braeburn ES, George Scarborough ES, Jennie Kolter ES, and James Mitchell ES. To fund these projects, HISD proposes to use $56,000,000 from the Reserve for Operations portion of the committed fund balance with the $70,000,000 from tax increment reinvestment zone (TIRZ). The Board must approve the 2017 Facilities Capital budget realignment. The Board must approve the 2018 calendar year audit plan. No informational or action items presented. Benefits Consulting Services. HISD uses health and welfare benefit consulting services to help the district. HISD issued an RFP, and recommended that Gallagher Benefits Services be selected for a five-year term starting April 1, 2018. The Board must authorize the superintendent to negotiate and execute a contract with Gallagher Benefits Services for benefits consulting services. Donations for Districtwide and School-Specific Programs. All donations greater than $5,000 must be approved by the HISD Board of Education. List of donors: The Children’s Museum of Houston; Educational Products, Inc.; The Simmons Foundation via HISD Foundation; Bo Porter SELF Foundation; The Public Education Foundation; Community Members of Las Cruces, New Mexico; Mary’s Bridal; Capital One Bank; EVERFI and BBVA Compass; Phillips 66 Company – Marketing and Lubricants Development Program; Sprint Corporation and Spring Foundation. All grant funds greater than $5,000 must be approved by the HISD Board of Education. List of grantors: The University of Texas Health Science Center at Houston; Financial Fitness Partners; The Center for Afterschool and Summer Enrichment (CASE) for Kids/Harris County Department of Education. The Board needs to approve vendor awards of $100,000. The Board must approve the resolution and ordinance adopting a 20% penalty pursuant to and in accordance with Section 33.11 of the Texas Property Tax Code on tangible personal property taxes that become delinquent on or after February 1, 2018. The Board previously adopted a tax rate of $1.2067 per $100 of taxable value for tax year 2017. The Harris County Tax Office has calculated a tax roll levy of $2,038,706,079. The actual levy will be reduced by about $68,964,853 for levy loss due to those frozen-levy loss calculations. The Board must approve the 2017 Certified Appraisal Roll and 2017 Calculated Tax Roll. District Improvement Plan for 2017 – 2018: The Texas Education Code requires that every school district has a District Improvement Plan (DIP) that is made by the Board of Trustees every year. 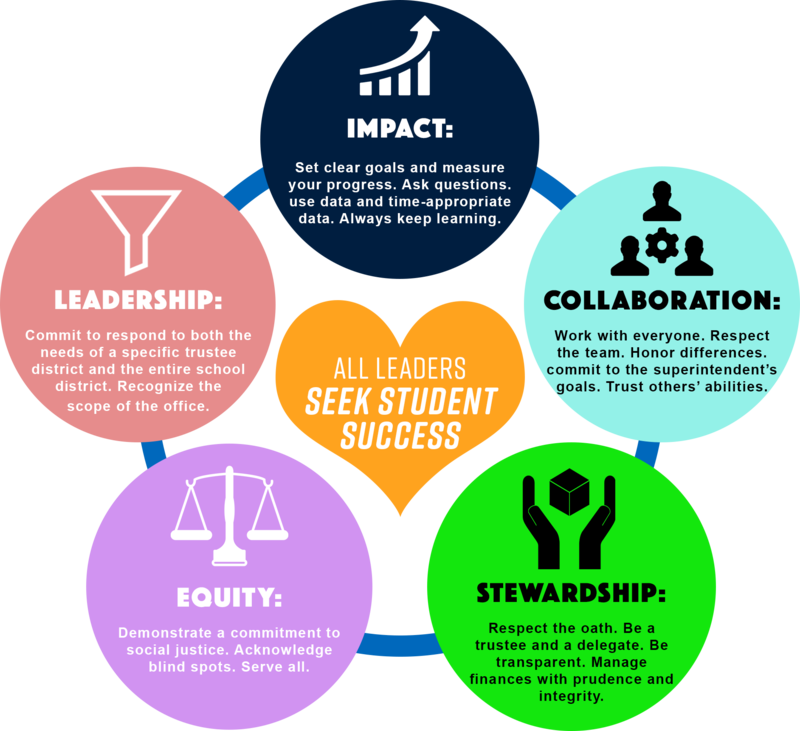 The DIP is a guide for district and campus staff to improve student performance for all student groups so they can meet state standards. The Board must approve the 2017 – 2018 DIP.